The population of the LGBT Community keeps growing as time goes by and to be honest, they are finally gaining the respect and acceptance they deserve. Like those garage doors in Milwaukee we all love, they’re colorful, unique, and beautiful in their special ways. It is nice to know how much we’ve grown to see the society get used to them and slowly accept these people. For the past years, we’ve seen how homophobic people trash the LGBT Community and treat them like they are not welcome in this society and that is actually the reason why this community for them was created. They all know that they weren’t alone and that many people are out there who feel just the same way like they do. Many advocates and campaigners fought for their rights, many people fought for their own justice, acceptance, and love. It was never easy for other people to accept them just like how the people in this community found it hard to let out their real feelings and emotions. They’ve been caged in this judgemental society, scared of what people might say to them once they say that they are gays, lesbians or queers. However, we all should give them a break, give them space for themselves and let them be free from society’s way of thinking and judging. We all should learn how to accept them and let them have enjoy their rights and freedoms just like the rest of us. They are normal human beings who deserve to be respected because they are unique and no matter how different they are, they still need to feel wanted and loved. It’s not just all about men and women. It’s about people, about everyone who lives in this world regardless of gender and sexuality, whether they are straight or part of the LGBT community. 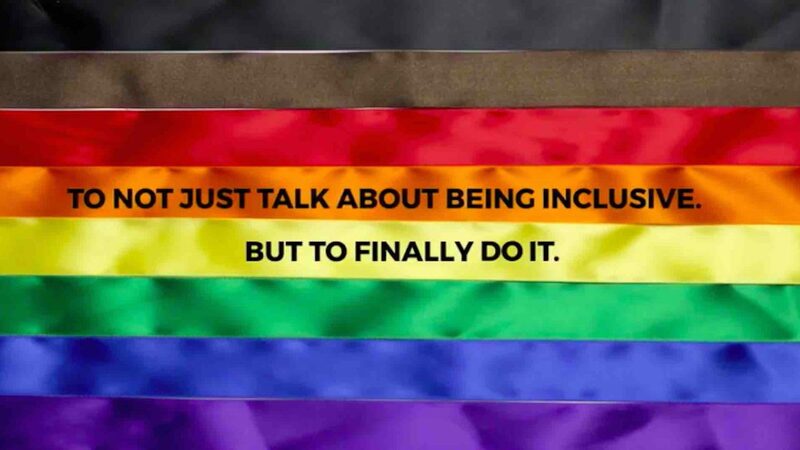 Though people became very chaotic about this issue, it’s very nice to know that there are many people out there who created organizations, advocates, and campaigns for this community, most of them are part of the LGBT itself. The Lesbian and Gay Community Service Center is one of these organizations that stood up for the LGBT Community and their rights. It’s not just lesbians and gays we want to fight for, but the rest of the people in this community. We are here to take action, to let our voices be heard or reach out to anyone who needs our help. As an organization for the LGBT Community, we are happy to work with other people and group as well. It’s pleasing to know how we are now open about this thing and how the society progressed in accepting these amazing people. Our group will always keep supporting everyone in this unique community and make sure that they receive help and cheer from us. If anyone is still being disrespected or being belittled by others, the LGCSC is always ready to take action and help you out. Let’s all become the society that shows respect for each and every one of us.